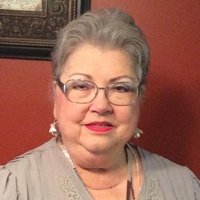 Delores L. Respress of Lake Wales, Florida passed away Wednesday, February 6, 2019 at Lake Wales Medical Center. She was born May 4, 1946 in Pensacola, Florida to the late George C. and Lucille (Sims) Lawrence. She has been a resident of the area since 1964 coming from DeFuniak Springs. She was a lifelong Bookkeeper and member of Assembly of God now known as Impact Church where she served in many capacities including the first female board member, church secretary, Sunday School teacher, and led in Women’s ministry. She was an avid reader with an extensive library and was highly dedicated to her family and the Lord. She is preceded in death by her husband Horace Respress and sister Gayle Lawrence. She is survived by her daughter Deanna Higgins of Lake Wales, FL, son Kevin Respress and wife Amy of Babson Park, FL, brother Butch Lawrence and wife Marie of DeFuniak Springs, FL, Rusty Lawrence and wife Mary Beth of Murfreesboro, TN, 3 grandchildren Ashley Gonzales and husband J.C., Lauren Respress, Seth Respress, 5 great grandchildren Jewels, Eli, Bryce, Knox, and Atlas. Multiple nieces and nephews. Visitation will be held 2:00 PM until service time at 3:00 PM Saturday, February 9, 2019 at the Impact Church with Rev. Walter Nelson officiating. Interment will be held at the Gaskin Cemetery in Gaskin, Florida. In lieu of flowers, donations may be made to the Diabetes Foundation at 1101 N. Lake Destiny Road #415 Maitland, Florida 32751.